Please select an option Green Orange Purple Please select a Colors. Please select an option Small 20l Medium 40l Large 70l Please select a Size. 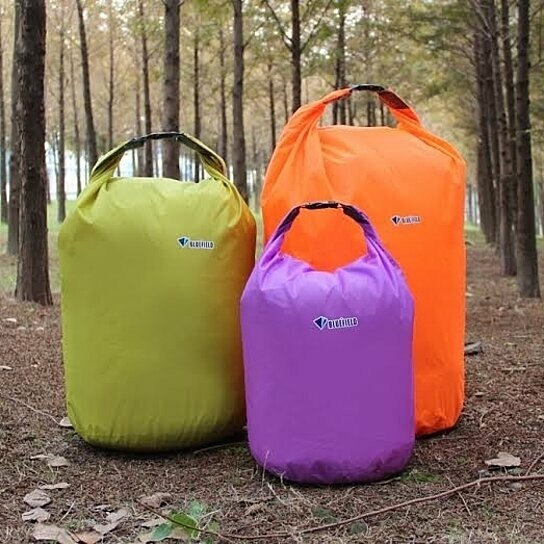 Whether you’re camping, fishing, kayaking, hiking or boating, keep all your items dry with a Waterproof Dry Bag. The bag is made from a lightweight but durable polyester and features a convenient roll-top closure with a latching buckle that doubles as a carrying strap. Easy to fold and store, it's great for all of your outdoor needs while protecting your items from dust, rain, snow and water.